Home / Unlabelled / Maybe, just maybe Liverpool could win. Maybe, just maybe Liverpool could win. When Liverpool's Champions League started campaign started last August not even the die hard fans would have given them a realistic chance. They struggled past a surprisingly good Hoffenheim team to qualify for the group stages, with what has turned out to be a typical, European performance from Klopp's team this season. They were dominated tactically and through possession for large periods of the game but clinical finishing made the result look comfortable. Now, however, the entire Anfield faithful believes and is in a state of terrified nervousness. Liverpool can win the 2018 UEFA Champions League, apart of course from the small matter of Real Madrid. Real Madrid should win, man for man they have better players, in Ronaldo they have a footballing giant, they have more big match experience and last season were the first team in history to successfully defend their Champions League title. However, there are reasons for hope . Real Madrid have lost twice in the Champions League this season, 3-1 to Spurs and 3-1 to Juventus. This in itself means nothing, Real Madrid 's superstars tend to get themselves up for the big matches. It is the manner of those defeats that should give Liverpool hope. In both matches Madrid dominated in terms of possession, shots, area of the pitch in which the match was played but both Tottenham and Juventus scored after very fast counter attacks, something Liverpool excel at. Real Madrid don't give up many chances but they do give up good chances and if Salah and co. are at their clinical best they could make Madrid pay heavily. Juventus scored their breakaway goals exploiting the space left by attacking full backs and Spurs made their fast breaks through the centre of the park, Liverpool are adept at both. Real Madrid do not hold their shape well but rely more on retaining possession and intuitive understanding of the game and what pass to make. They have got brilliant footballers in their team. Whilst this gives their superstar attackers the option to cause havoc anywhere in the pitch and at any time it does leave them exposed at times throughout a match, hence giving up big opportunities for the opposition. Where possible Liverpool need to have as much possession as they can, even if they do nothing positive with the ball. Real Madrid's forwards are not particularly good at shutting down defenders, they really only work hard when in possession, so Liverpool should be able to pass the ball round at the back even though this may well give the fan base palpitations. Keeping possession of the ball will encourage Real Madrid's worst habits, namely loss of shape and concentration. I think that the loss of Oxlade-Chamberlain could be crucial though, Real Madrid look at their most exposed when players run past Casimiro and the Ox is certainly the best central midfielder Liverpool have at doing this. Gini Wynaldum is going to have to take on this role. Liverpool also need to be very careful who they press, although Modric certainly needs closing down, putting a full press on him could be catastrophic . Modric is brilliant at receiving, keeping and playing the ball in tight situations and Liverpool could suddenly find two or three players caught out of position as Madrid attack. 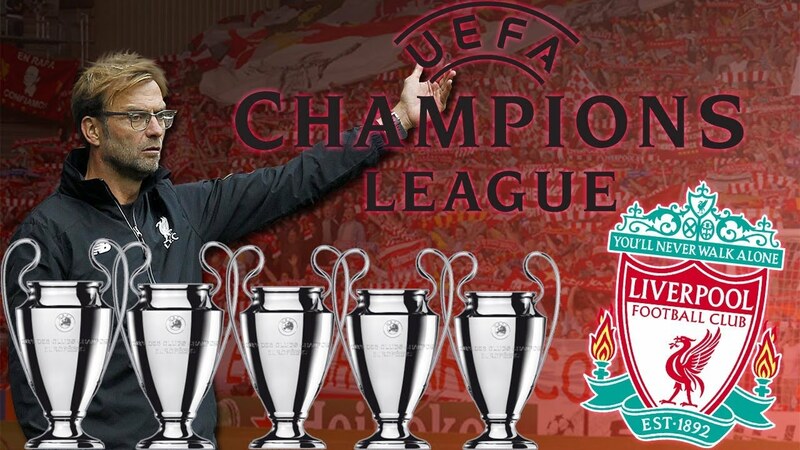 There are reasons Liverpool could win but it is still Real Madrid, Ronaldo et al, Liverpool will need a lot of luck, a lot of resilience and every single player to be at their very best!